I wanted to give y’all an update on my thoughts and what I have enjoyed after assisting Stephanie as her intern for several weddings. I have worked alongside Stephanie at three weddings so far, two of which were at the stunning Merrimon-Wynne House and one at the timeless and beautiful Jones Chapel at Meredith College. To begin with, I have to say how grateful I am for Stephanie granting me the opportunity to work alongside her and the incredible team she has created. I quickly learned how beneficial, and I would dare say necessary, a wedding planner is to make not only the wedding day run so smoothly, but also to transform the many days and months of planning into a dream day. Stephanie is a gem and truly a lifesaver to the bride, groom, and their families. 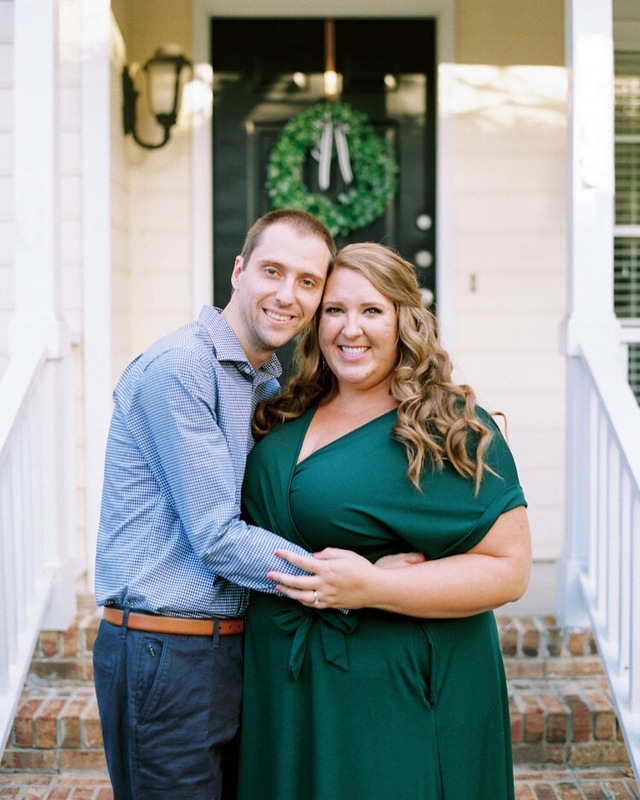 It is clear that Stephanie establishes meaningful relationships with the families she works with and creates a bond of the truest sense with her brides. One of my favorite aspects of interning with Stephanie Shaul Events is getting to write the bridal spotlight posts. I correspond with the brides, asking them questions about themselves, their spouses, and sneak peaks into their wedding design and inspirations. Combined with stunning engagement photos, I generate a spotlight post that highlights each of the brides before they tie the knot. Additionally, Stephanie adds in final personal touches to the post before it is published. I love getting to know the brides a little more before their wedding day, as it helps me to better understand not only why they chose certain colors and themes but also who they are as a person. You can view these bridal spotlight posts I have published: Sarah Morrel, Sarah Holbrooks, Emily Morrel, Nicole Thomas, and Alexia Conley. Now, to go into more detail about my thoughts and experience after completing several weddings as Stephanie’s intern. A few words to describe wedding days from my wedding planning point of view include: Exciting, Overwhelming (in the best way possible), Passionate, Adaptability, Rewarding, and Appreciation. The bliss of wedding days is indescribable. Every room and person you encounter is filled with an abundant sense of love. There is hopefulness and excitement for the future. All of the hard work and planning finally comes to fruition, and the result is a beautiful day. I quickly learned how significant effective communication is to make the day go as planned. There are a variety of vendors (the flowers, the catering, the cake, the photographer, and many many more) that all have to work together as one cohesive unit. Stephanie, alongside her interns, are responsible for tying together all of these pieces and ensuring that all parties are on the same page. Adaptability is key within this industry. No matter how many hours of planning take place, there will always be unexpected factors that must be accounted for. The weather can play tricks on you, especially with the March weddings I assisted Stephanie with. We battled the rain and cold, but the days still ran so smoothly and beautifully. After all, whether it be raining, sunny, or snowing, there is no variation in weather that can dampen the love between a bride and groom on their wedding day. In facing rain and cold temperatures, we were able to adapt quickly and make adjustments to ensure that the bride’s vision of her day would not be altered. Within minutes of my first wedding with Stephanie, I quickly realized how rewarding it is to be a wedding planner and how appreciated she is for all of her hard work. Being a wedding planner is no easy task, and Stephanie deserves all of the credit she is given. The bride, groom, and their families are all so appreciative of the effort, energy, and passion put into planning the day, and it is evident that Stephanie has been blessed with working alongside some of the greatest people. Learning new things every wedding day, gaining insight into the industry, meeting and strengthening relationships with a variety of people, discovering my passion for design, and embracing my need for extreme organization- these are just a few of the aspects of this internship that I have found so interesting and enjoyable. So far, this experience has been incredible, and I cannot wait to assist Stephanie with her upcoming summer weddings. Stay tuned for more bridal spotlights and thoughts from me! all photos are behind-the-scenes iPhone shots from Jacey!